To beat the competition, Aircel GSM telecom operator has brought its latest offer of 1GB of 3G data pack for just Rs. 24 with the validity of 28 days. Aircel GSM telecom operator is the latest entrant in the race against Reliance Jio. Aircel new data Plan is both for it is for its New and Old prepaid customers. Telecommunication sector has now become a game and only the team with the best players will win. When new competition enters in the form of Reliance Jio’s “Jio Preview Offer” Aircel, no longer wanted to get the line of business. The Aircel Telecom Offers 1GB 3G data service now offers a reasonable plan which means customers can use 1GB of 3G Internet data by initially recharging with Rs 329. This offer gives them a chance to hold for data service for that 28 daysThe offer is sold in the line of perfect timing of the festive season. Customers without worrying about the cost can use this service to stay connected with family and friends in festive celebration. 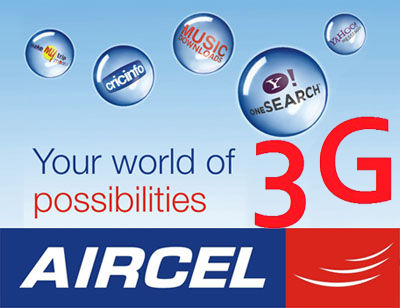 Aircel New 3G data plan can a be strategic move to counter Airtel’s 1GB unlimited data recharges offer of just Rs.51. startingly Airtel users by one time of one-time recharge of Rs 748 (valid for six months) or Rs 1,498 (valid for 365 days) Aircel telecom the operator has also come up with a special 4G data pack for prepaid customers by offering free data services for 90 days. 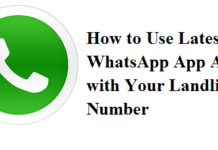 In the same way this offer is available for existing users at Rs 1495. Important note for new users is that can enjoy the benefit of this pack by the first recharge of Rs 1494. All established and future customers at first need to get recharge pack of Rs 329. This data pack will give them 2GB of 3G data with a validity of 28 days. Customers can get 1GB of 3G data with every recharge of Rs 24. ROWB, Assam, North East, Bihar & Jharkhand, Punjab and Jammu & Kashmir. All these places will get recharge offer ranging from Rs. 24 to Rs 41. Currently, the main recharge is available in the range of Rs.291 to Rs.329. Aircel is trying hard to equally compete with all the telecom companies in the festivities season with a whole range of exciting data and calling products. Aircel Telecom Offers 1GB 3G data cannot easily compete with reliance jio’s free data service (till 31 December). But it can be unique step to stay in line with competition by meeting the expectation of new customers and existing customers.